Neutrik Modules NM3FXI. 3 pole female XLR housing,outer thread M 17x1,solder contacts. 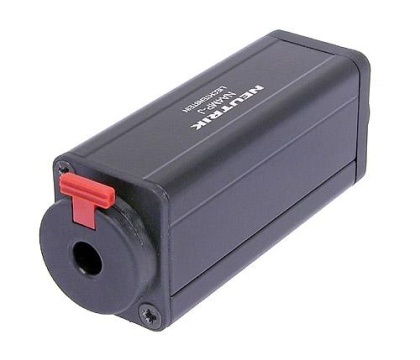 Neutrik Modules NM3FXI. 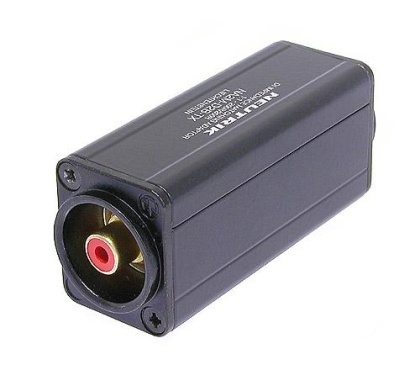 3 pole male XLR housing,outer thread M 17x1,solder contacts. Neutrik Modules NM33P.Stereo 1/4" plug module,inner thread M 17x1,solder contacts. 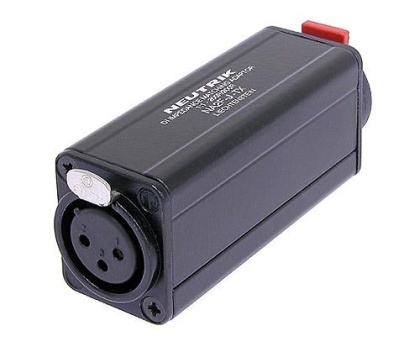 Neutrik Modules NM3J. Lockable stereo 1/4"jack module,inner thread M 17x1,solder contacts. Neutrik Modules NMPMM. RCA/phone male modul,inner thread M 17x1,solder contacts. Neutrik Modules NMPMF. RCA/phone female modul,inner thread M 17x1,solder contacts. 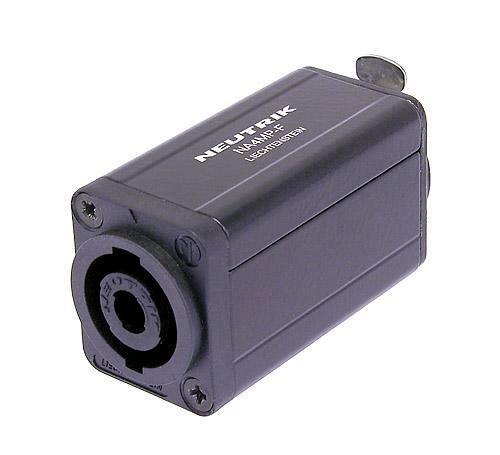 Neutrik Modules NA-Housing.Extrusion profile set including screws,black plated , for combination with all D Shape. Neutrik Transformers NTE1 Professional audio transformers 1:1 with free wires.Applications general purpose,splitting and XLR inline. Neutrik Transformers NTL1. 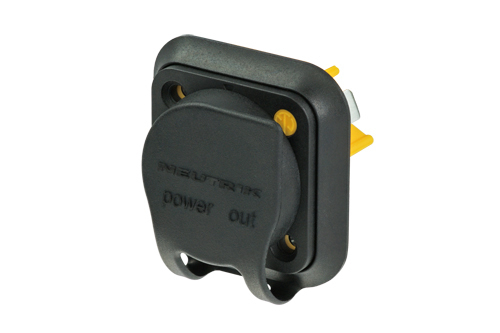 Studio transformer line 1:1 for PCB mount,fully shielded.Applications: line input. Neutrik Transformers NTL1. Studio transformer 1:1 for PCB mount,fully shielded.Applications: mic input,splitting. Neutrik Panel NZP1RU-12.The angled 19" panel for racks in demanding environments protects the installed receptacles well against the ingress of dirt and water.The panel is 30° forward-turned and offers 12 D-shape cutouts with M3 threaded fastening holes. Neutrik Panel NZP1RU-8.The angled 19" panel for racks in demanding environments protects the installed receptacles well against the ingress of dirt and water.The panel is 30° forward-turned and offers 8 D-shape cutouts with M3 threaded fastening holes. Neutrik Gooseneck GN18.Gooseneck only,230 mm lenght,12 mm diameter. Neutrik Gooseneck GN36.Gooseneck only,360 mm lenght,13 mm diameter. Neutrik Gooseneck GN50.Gooseneck only,500 mm lenght,15 mm diameter. Neutrik Gooseneck Accessories GF1.Heavy duty mounting flange for GN-Series,to mount the GN onto a flat surface. Neutrik Gooseneck Accessories NAM4. M17x1 outside thread, 5/8"UNS inside thread. Neutrik Sealing Accessories SCDF.Rubber sealing cover for XLR D-Series female. Neutrik Sealing Accessories SCDM.Rubber sealing cover for XLR D-Series male and speakON NL2M and NL4M. Neutrik Sealing Accessories SCFF. Dust protection cover for female chassis connectors. 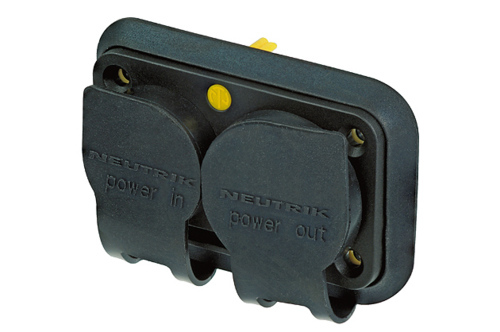 Neutrik Sealing Accessories SCM.Dust protection cover for male chassis connectors. Neutrik Sealing Accessories SCL.Dust protection cover for most speakON and powerCON chassis connectors. 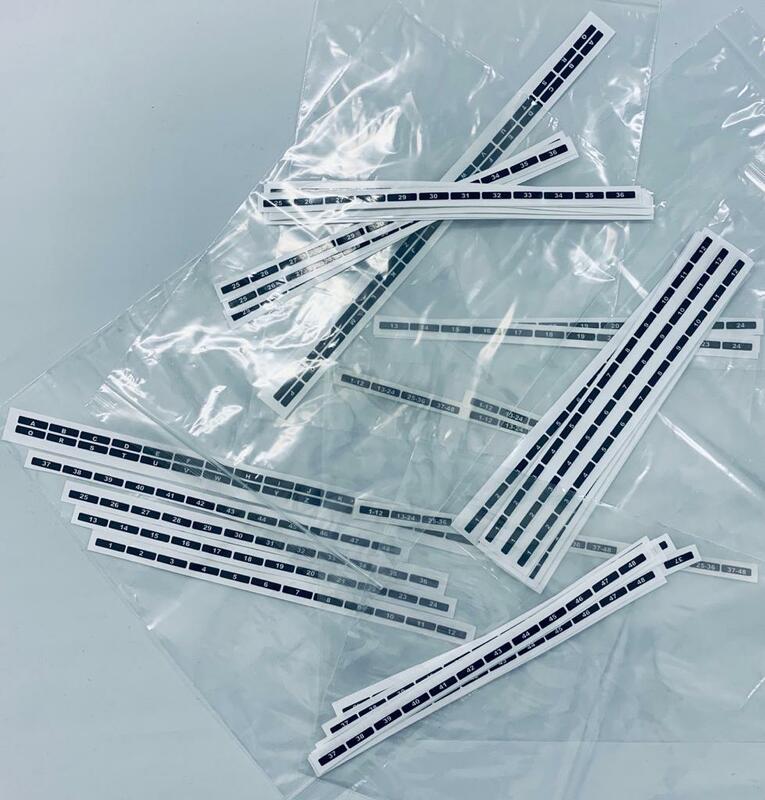 Neutrik Sealing Accessories SCNAC-PX.Sealing cover for powerCON TRUE1 duplex chassis connector NAC3PX. Neutrik Sealing Accessories SCDP.Sealing Gasket and color coding for D-size chassis connectors.Assembly for all D-shape chassis connectors to front panels. Color coding: black-red-yellow-green-blue-white. Neutrik Sealing Accessories NDM. dummyPLUG for male XLR receptacles. Neutrik Sealing Accessories NDL. 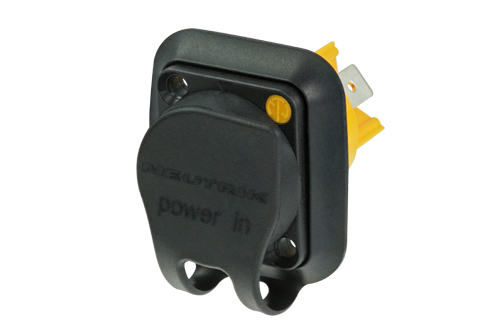 The dummyPLUG for all 4 pole Neutrik speakON and powerCON chassis enables you to simplify cabling. Neutrik Sealing Accessories NDL8.The dummyPLUG NDL8 for all 8 pole male Neutrik speakON chassis connectors enables you to simlify cabling. 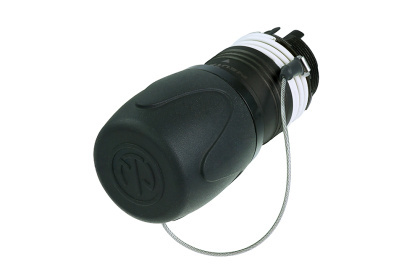 Neutrik Sealing Accessories NDO.The dummyPLUG NDO for Neutrik opticalCON receptacles enables you to simplify cabling. Neutrik Sealing Accessories NCCD-W.Spring-loaded sealing cover. Neutrik Sealing Accessories SCNO-FDW-A.Rugged,all metal sealing cover for opticalCON chassis connectors.